We are happy to share our 2014 Fundraising report. Last year was a relatively slow year for us as we worked to successfully finalize our 501C3 status. Even though, we were able to generate over $10k over through our two efforts. Thank you to all the donors, volunteers, artists, attendees, vendors and supporters that made this possible! On Feb 11th, we’ll be making another $5k donation to UCSF Benioff Children’s Hospital and are currently online casinos deciding which local programs we will be donating the remainder to. 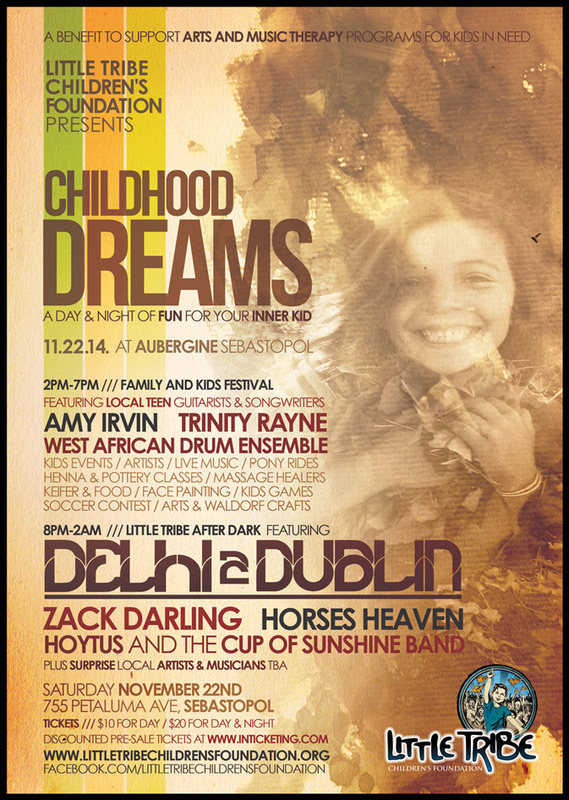 On November 22nd, our Childhood Dreams event raised $7500. 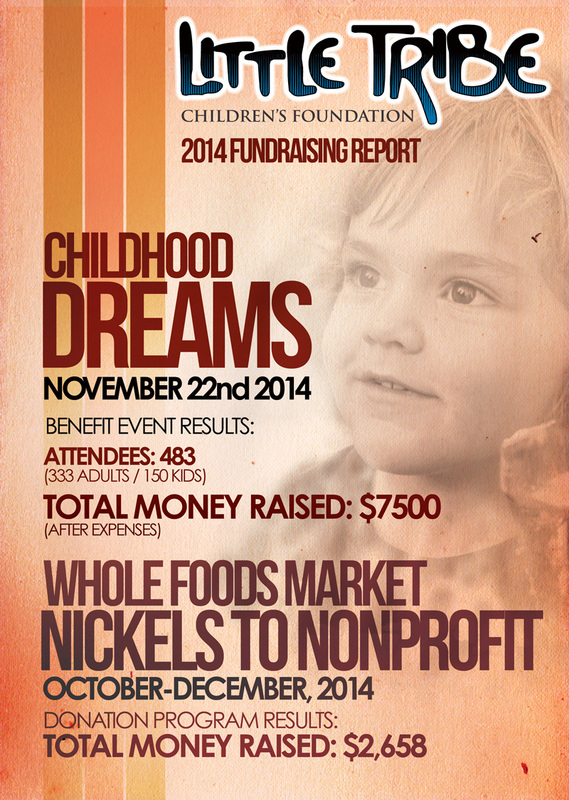 Jumpers for sale From October-December 2014, the Whole Foods Market Nickels to Nonprofit program raised: $2,658. In total, we pulled in just over $10k! Thank you everyone who supported the Tribe in 2014! We’re expecting an epic year in 2015! Finally! 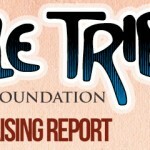 Little Tribe is 501(c)(3) Certified! 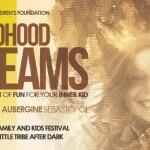 What has Little Tribe been up to since our big kick-off? Where have we been? Are we still working on the foundation? It’s true, we’ve been less active over the past year since we launched this endeavor. 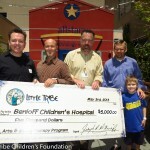 After the success of our first event and our donation to Benioff Children’s Hospital, we explored many avenues for fundraising other than producing benefit concerts. We discovered was that most grants and charitable crowdfunding Jumpers for sale sources were dependent on Little Tribe having our federal 501(c)(3) certification, which we had not been approved for at that time. 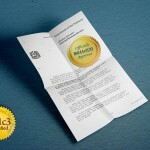 We decided to slow our efforts until such certification had been approved. As of a few months ago, we were fully approved as a 501(c)(3) non-profity charity. The doors are wide open and we’re ready to take this cause to the next level. Thank you to everyone who has continued to believe in Little Tribe while we squared away this important detail. We’ve already got a few projects going and look forward to making great things happen. 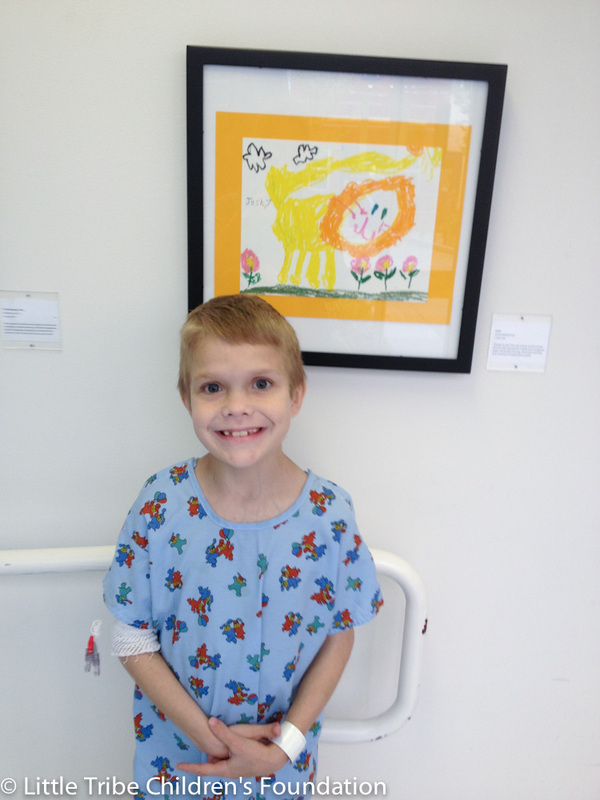 Josh is 8 years old and has been struggling with health issues most of his life. When LTCF founder, Joey Damico, and I visited Josh at UCSF’s Benioff Children’s Hospital in early May, 2013, he was pretty happy because today was the day he was being discharged and got to go home. Josh had been living in the hospital for over seven months as he struggled with a life-threatening kidney disease. As Joey and I tried to comprehend what it must have been like to be living every day in a hospital room for the better part of a year, it was difficult to understand how this amazing kid seemed so happy. His parents provided us with the answer: art therapy. It was the Benioff Children’s Hospital’s Art & Music Therapy Jumpers for sale Program that poured light, color and happiness into an otherwise challenging period of healing and homesickness. In the seven months that Josh was there, something extraordinary happened: He discovered that he was an artist. The white walls in his little room became an ever-expanding creative mural of his paintings, drawings and poetry. While Joey and I stood there in his room as they prepared to leave the hospital, Joshes parents were glowing with gratitude for the Art & Music Program and the beauty it brought out in their son’s recovery. We had only been in the UCSF Benioff Children’s Hospital for 10 minutes and already everything we believed about the healing power of art and music had been affirmed: This was why we created Little Tribe Children’s Foundation. The Kick-Off Benefit was a success! On April 12, an overflow crowd of hundreds gathered at HopMonk in Sebastopol to launch Little Tribe Children’s Foundation into the world. 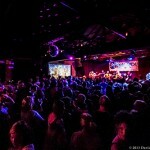 They were shaking the stones of the Abbey nightclub, dancing to the classic rock mash-ups dished out by DJ Zack Darling, followed by Wisdom, Tevya Jones and his great band of conscious hip-hop artists. MC See invited everyone to focus on the mission by raising high the Little Tribe hand mudra, the ASL sign for the letter L.
Outside, the patio was humming with happy people hanging out by the fires and eating HopMonk’s excellent food, drinking its housemade beers, and giving their hearts to Little Tribe. The Jumpers for sale raffle booth was filled with fabulous prizes donated by local merchants and generous folks, including a dream vacation to Costa Rica, a lovely and unique guitar, and even a surfboard. People were buying tickets for the joy of giving as much as for the excitement of possibly winning something fabulous. 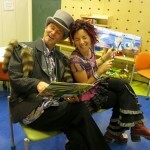 Jade Turgel and I read her two books to a tribe of many children.